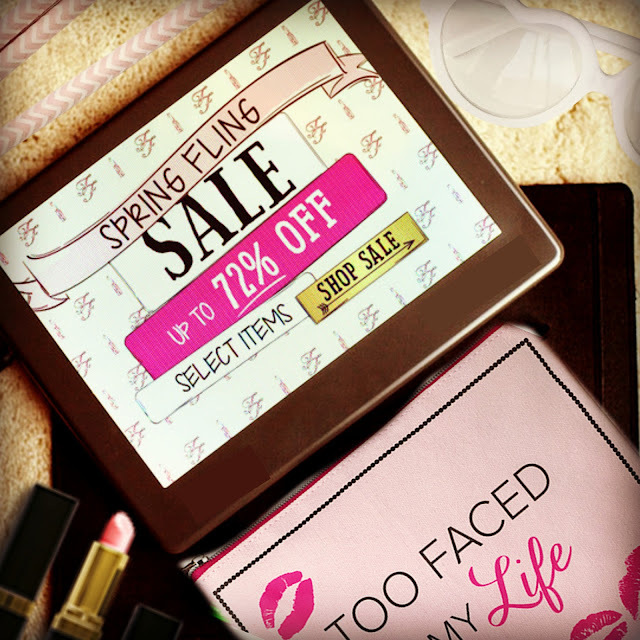 Too Faced Cosmetics, Spring Fling Sale Up To 72%! This week's beauty deal is on the Too Faced Website! Tons of select items from the little black book of bronzers to their famous 9 panned eyeshadow palettes are on sale, up to 72% off, and NO CODE IS REQUIRED! There is also free shipping on all orders over $50 and with ALL ORDERS you will get a FREE deluxe Melted Metal Metallic Peony! Muah! So pull out your phone or tablet (like me) and get your Too Faced Cosmetic favorites, before it's too late! Sale ends on 3/15/2016!